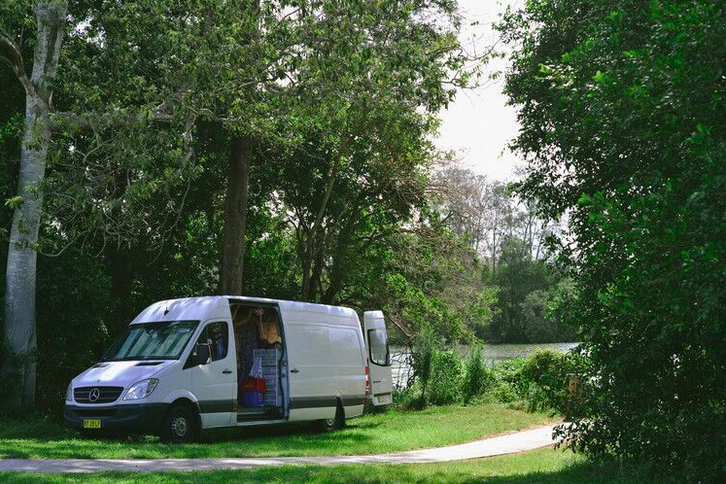 Vanlife to us is a word used to portray folk that live and travel in their vans as a means to live more simply and connect frequently with nature. 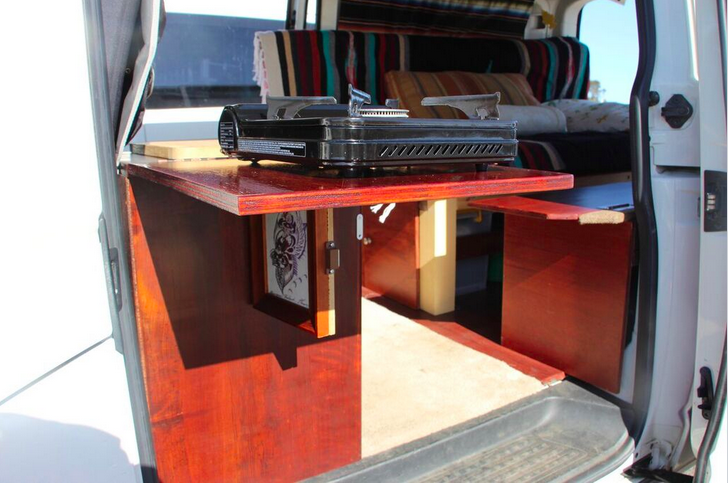 Korduroy: Can you tell us a bit about VanLife, it’s origin and what it means to you today? 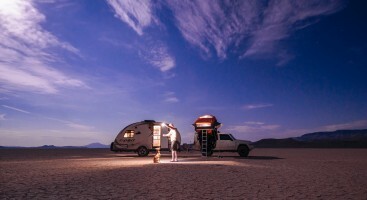 Jared: Vanlife to us is a word used to portray folk that live and travel in their vans as a means to live more simply and connect frequently with nature. In December 2014, three friends (Jared, Sam & Jonny) caught up over a weekend, had some coffee and discussed the happiness we have in our lives. With old friends it doesn’t take long for the trivial talk to dissolve and the honest aspirations to bubble to the surface. 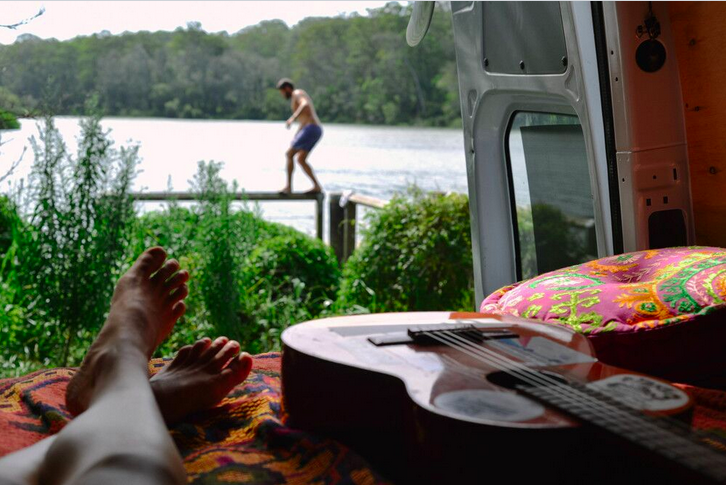 Sam and I (Jared) had been wanting to ‘fitout’ and convert basic vans into campervans at an affordable price for travellers, as a way of maintaining some funds to make music and survive on the road. Jonny (teacher/musician) offered a community based Network and Marketing aspect to bring to the table. So commitments were made. In 48hrs we had a community initiative in the works, brand, social media and website that we were excited about. We let our minds run with every positive avenue of authentic growth and the seed germinated before we knew it. 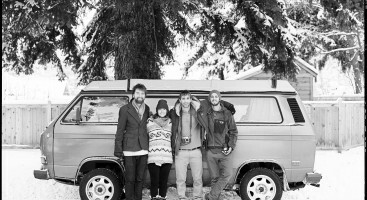 Being musicians Jared & Sam (The Evening Son band) Jonny (Dusty Boots Music), all three of us juggle other jobs such as education, brand development, trades and event management to sustain ourselves. 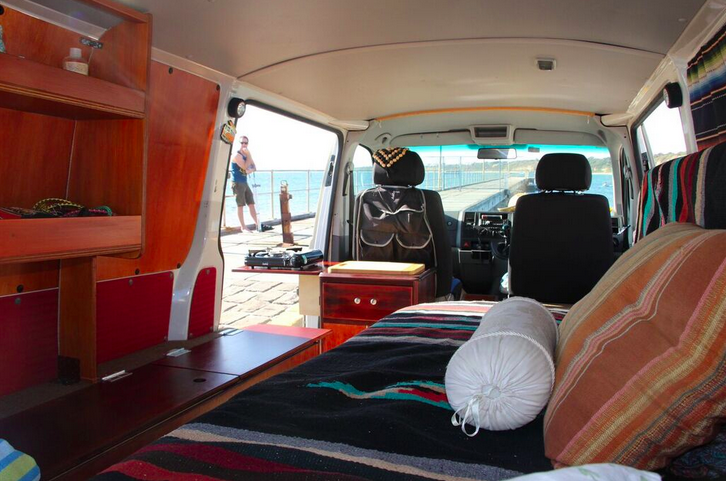 Vanlife is a project that offers an opportunity to directly engage with passionate and creative people. People are the most fascinating, wonderful and annoying creatures on earth and we are all so uniquely human in our efforts to be better. 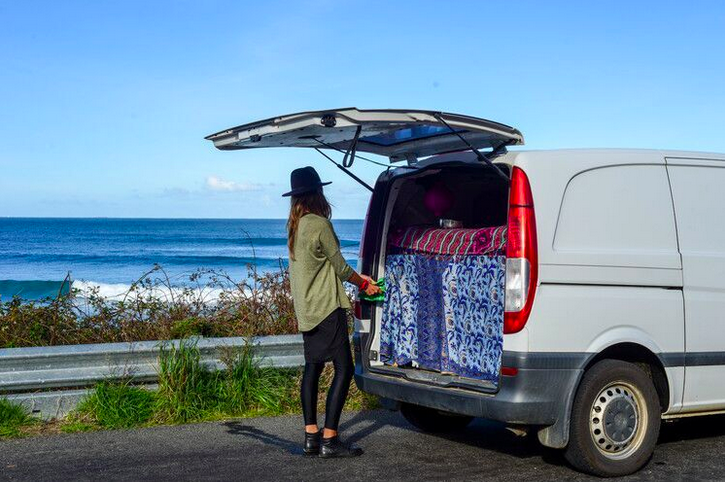 Micro communities like Vanlife will continue to pop up because people need to genuinely connect. We will continue to develop our cause at a community based demographic because that is where WE feel we can directly engage with social change and awareness. We are building an international team of key contributors so if any readers are interested to help with their region email us. We have had Bastien @carrierebastien help with Canada and Hiromi @hiromixnuts help with Japan. 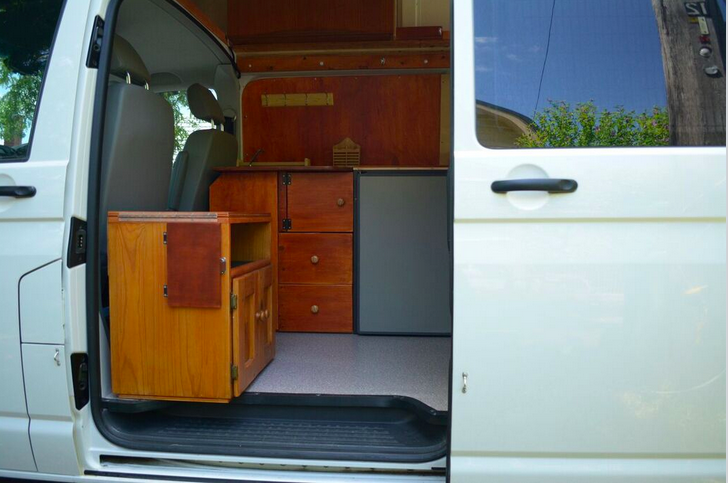 Kord: In your eyes, what are the three most rewarding aspects of the intentional community you have inspired with VanLife? 1.Connection with nature and gathering in places where we switch off our phones and interact sharing stories, environmental initiatives culture and music with like-minded folk. It is so rewarding and inspiring hearing what individuals and community groups are up to and supporting them in their passions and endeavours. 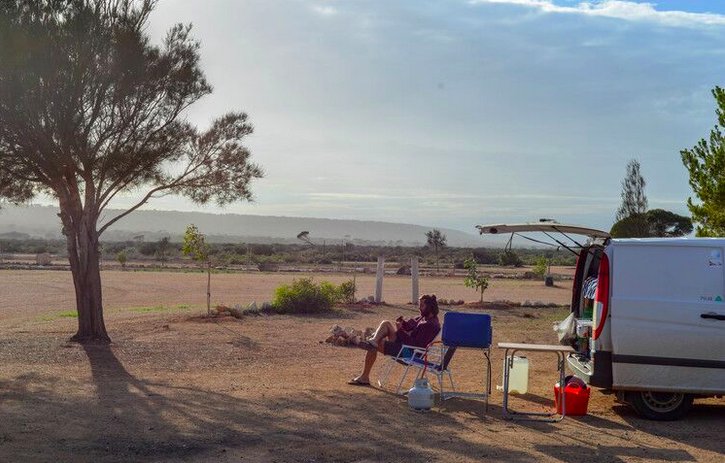 Korduroy: Tell us about your VanLife community and the indigenous communities you connect with. 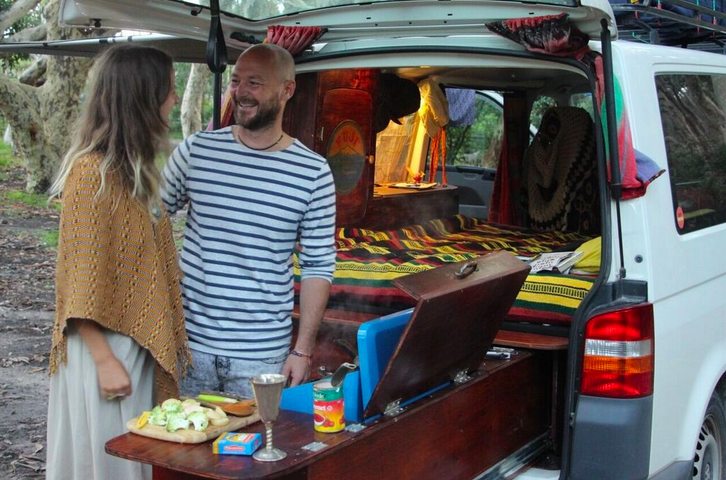 The Vanlife community exists across most continents. With folk sending us their stories and contributing from Greenland to New Zealand, South Africa to Scotland. 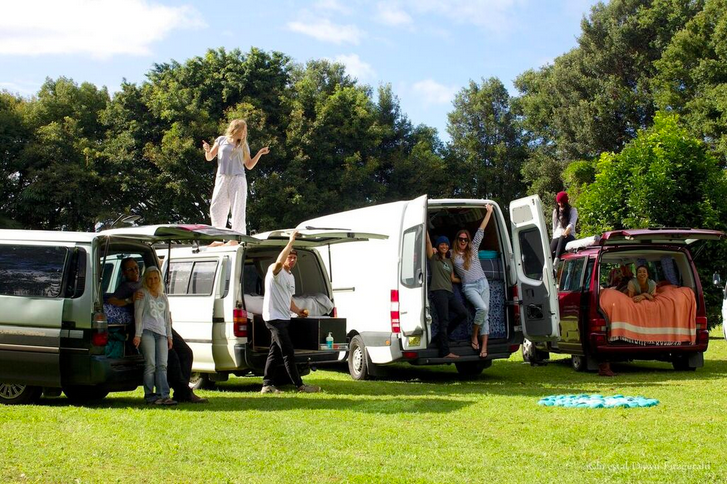 In Australia we run social events called Vanlife gatherings to facilitate meet ups for this community on a local scale. We also have gatherings starting up this year in America with our first one in Colorado. 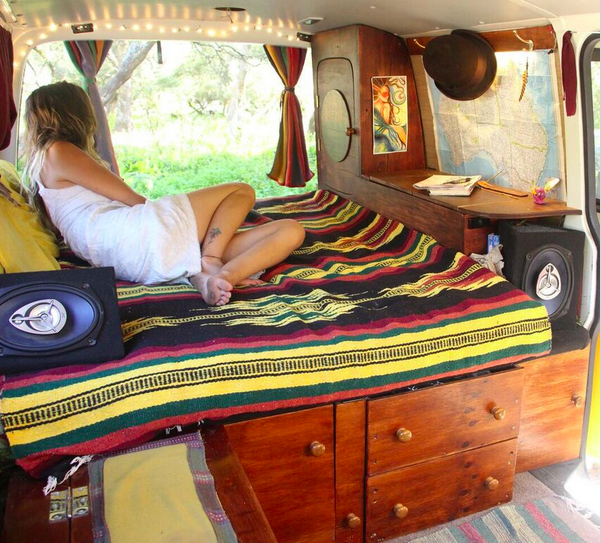 There are no requirements for people to come to a Vanlife gathering. They are not exclusive and don’t cost money. Our community and gatherings all have a different flavour, depending on who shows up. One could have a couple of cooks who showcase their generosity and skills. Another gathering may have musicians who jam and share their music through singing, spoken word and instruments. 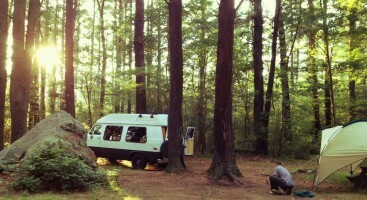 The last one we had a film- maker debut his feature film, running his projector off a solar set up in his van. When we originally came up with the concept of reaching out to the community, it was apparent that an opportunity to embrace our indigenous community, one that our predecessors had failed, had now presented itself. YARN Australia https://www.facebook.com/YarnAustralia/?fref=ts is run by Warren Roberts. A beautiful man who is a wonderful communicator. Warren collaborates with us at Vanlife gatherings, bringing knowledge to the unique area we are camping in, understanding and the correct history of Australia’s dark past that so many of us are unaware and in most cases ignorant about. Having warren facilitate his message at a place with no walls or boundaries, creates for an experience no one forgets. Within the next year we will be making multiple stops in every state of Oz and joining other convoys in distant countries helping develop relationships with each other and our indigenous stories and culture that may have been forgotten. We have also connected with environmental groups such as Take 3 for the Sea & Clean Coast Collective to raise awareness of plastic pollution/waste and keep our footprint to a minimum. We collaborate with One Wave to raise awareness for mental health and share talks and a special fluro surf for a bit of fun! Korduroy: For anyone interested in building or nourishing their own community, can you offer 5 tips or principles that you’ve found to be your North Star of sorts? 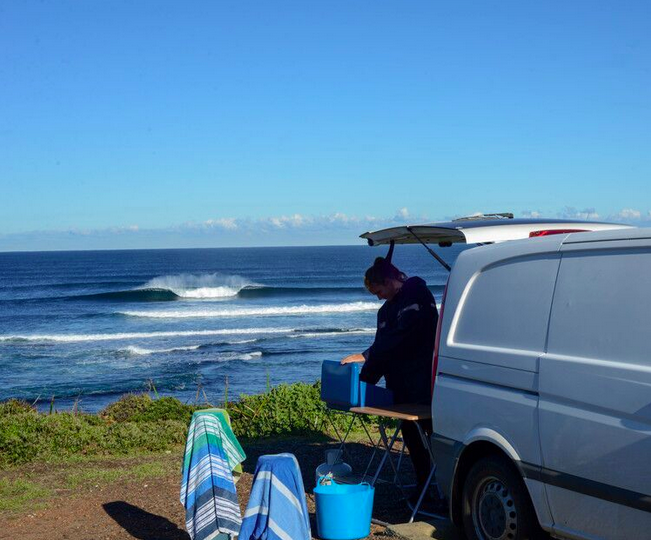 Korduroy: What’s on the horizon for VanLife: Do you have any gatherings scheduled that you’re really excited about? We are excited about some future collaborations with like minded organisations and brands that support our community. Vanlife gathering #6 in Bellbrook NSW is being held on an aboriginal reserve out the back of Kempsey. It will be the biggest celebration of nomadic folk the East Coast of Australia has seen with elders, schools and artists from all walks of life getting involved. We hope to build on this and are in talks to expand into other indigenous communities and build more social in roads so we can understand their struggle, build positive relationships and find what it is in our culture that blinds us to see the happiness to belong. 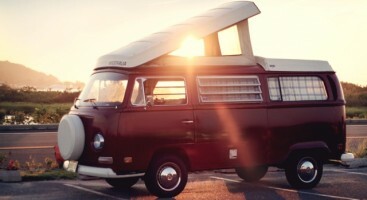 We also have a Vanlife Gathering in Colorado, America as stated which we are really excited about. This will be organised by our American contributor and team member Kathleen @tinyhousetinyfootprint.